Then open your own digger company in "DIG IT! 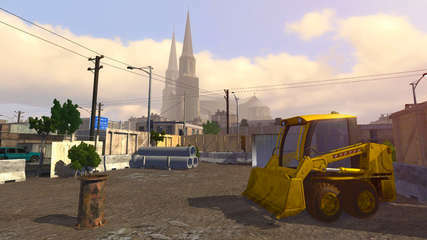 A Digger Simulator" and delve into the breathtaking world of excavation, complete with realistically modeled professional vehicles! It's no secret that professional digging is a matter of pinpoint precision. Find out if you are a master of your trade and can lead your company to bigger and better things by successfully completing orders in around 30 missions. Take on new jobs to earn money for new vehicles and attachments in a variety of realistic scenarios. What are you waiting for?! Start your engine and become the most successful digger director in town. A 3D artist is working on the environment and a Programmer is designing the general interface.